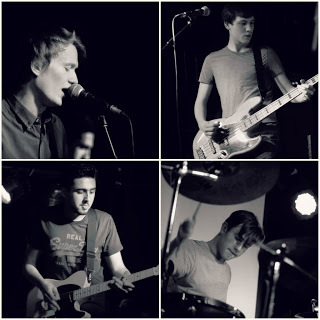 ‘Truth About Vegas’ are a young, exciting band based in Walton-on-Thames, Surrey. They fuse energised pop punk with their distinctive melodic guitar-driven sound. They have been captivating audiences for over a year. 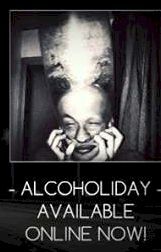 This week they released their highly anticipated EP titled “Alcoholiday”. Available now online – see below for links. YOU DESCRIBE YOURSELVES AS COMING FROM SOUTH LONDON BUT YOU ORIGINATE IN WALTON-ON-THAMES … WERE YOU BORN AND RAISED IN SURREY? Yeah, we were all born and raised in Surrey. Originally it was Sean and Jacob who knew each other through their school life in Walton – they both shared the same passion for music. They jammed with a few people in 2009-2010 before meeting Jack from down the road in Molesey who became the bass player. It never worked out though and the band went into exile. A couple of years later, Sean met Joe at college and they became friends instantly once they discovered that they live round the corner from each other and that they share the same influences. So they started up a new band and invited Jacob and Jack to join which became ‘Truth About Vegas.’ We described ourselves as coming from South London because that’s where we played our first bunch of shows and to also to appeal to a wider audience – instead of just labelled to one town. DO YOU HAVE ANY DIFFICULTY IN FINDING LOCAL VENUES WHERE YOU CAN PERFORM? Yes and no. We have played an equal share of London and local gigs. We’ve found it’s a lot easier getting a show in London than it is getting a local show … which isn’t actually surprising if you think about how many venues and promoters there are based in London. In our opinion, the amount of decent local venues and promoters in Surrey is quite limited. We have played a bunch of local shows before for example The Holly Tree in Addlestone or The Peel in Kingston, but it’s not as available as it is in London, which is a shame. WHAT IS YOUR FAVOURITE LOCAL LIVE MUSIC VENUE? For us, probably The Peel in Kingston. Great sound and decent stage. Loads of great bands have played there… although The Peel seems quite dead at the moment. DO YOU THINK THAT IT CAN BE A STRUGGLE TO BE A MUSICIAN IN SURREY? I think it all depends on the type of music you play. For example, Indie is quite a big thing in Surrey at the moment, like everywhere else. There’s definitely some sort of genres that struggle in Surrey… [possibly because] it’s just not the time nor the place. There’s definitely a lot of potential to become a great musician in Surrey – with vast opportunities. There are loads of great studios and quite a few decent venues all over Surrey. It all depends what you make of it. HOW OFTEN DO YOU GET TO PLAY SHOWS IN KINGSTON, GUILDFORD AND CROYDON? We have played in all those towns before … but not recently. Our first gig was actually put on by Theory Project Revolutions (TPR) in Guildford’s community centre supporting a Kerrang! featured band called “My Favourite Runner Up”. That was a good first gig. I think TPR are actually struggling to keep everything running at the moment and are fund-raising so check them out as they put on really good shows in Guildford for young bands across Surrey. We played in Kingston last May supporting another Kerrang! featured band called Hey Vanity who were touring at the time. We were going to play in Kingston again a couple of weeks ago for Banquet Records’ New Slang, which is an amazing bill to be able to get on to but unfortunately the headline band had Glandular fever so they pulled out last minute, which was a shame. We’ve played at the Scream Lounge in Croydon too which is an okay venue, just a bit far away for us. IS A JOURNEY TO THESE TOWNS DIFFICULT FOR YOU? It’s not difficult [to get to] Kingston and Guildford … it was only difficult for the Croydon show … as it’s miles away from us and only Joe could drive us (at the time) with all the gear in his tiny car. It was extremely cramped and the suspension on it is totally knackered now! But luckily Jacob also drives now – so we’ve got two cars. For London shows it’s a totally different story though. We mainly use Jacob’s dad as our taxi/roadie for London shows. We’ve had to hire vans before and for some London gigs we’ve even had to catch the tube with all our gear. Not fun! WHERE DO YOU GET YOUR LARGEST & MOST ENERGETIC CROWDS? 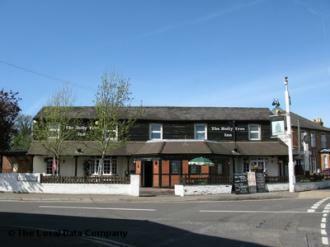 In Surrey it’s The Holly Tree in Addlestone is probably the most energetic and largest crowd we have had. Was a pretty packed out venue and overall was a really fun night. Lots of moshing and encores with good vibes. WOULD YOU SAY THAT YOU HAVE A LARGE LOCAL FOLLOWING? We definitely have a loyal fan base that travels wherever we go. We have people who are there for every gig … even the ones uptown in London. Our fan base is definitely growing every gig which is always a good thing. HOW DO YOU MAKE SURE THAT YOU KEEP YOUR LOCAL FANS LOYAL? Keep pleasing them. We keep our promise that every show will be a new and even better experience then the last. We never play the same set twice and we never stop writing new material. We always keep them up to date and informed on our websites too about any opportunities and shows coming up. DO YOU THINK IT’S HELPFUL TO BE IN THE SUBURBS FOR GIGGING PURPOSES ETC. OR WOULD YOU PREFER TO BE BASED IN LONDON? I think it totally depends on the band again… Yeah some bands would benefit [from] being based in London but then again some would benefit more in the suburbs. It does seem like more bands based in London have a higher chance of going a lot further in music than suburban bands… but there’s also a lot of bands based in London that don’t go anywhere too. But I think we’re in an ideal location. I wouldn’t say we are based in the Suburbs (although we live in Walton) because for us getting to London is easy. It means we can play a mixture of shows locally and in London and construct a following in both areas, which is happening. HAVE YOU PLAYED ANY MUSIC FESTIVALS IN SURREY? No we haven’t yet, we’d like to though. WHAT DOES THE COUNTY OF SURREY OFFER UP-AND-COMING MUSICIANS? There’s a good wide-spread of venues and promoters all over Surrey, although it’s limited to a degree – there are still great opportunities. There’s a load of really cool rehearsal studios such as Tweeters and Powerhouse Studios which offer relatively cheap and decent rehearsals for bands. Also there are so many nice recording studios too, for example Masterlink Productions located in the countryside [near] Guildford. It’s an amazing little studio. It’s where we recorded our EP ‘Alcoholiday’. DO ANY OF YOUR OWN ‘MUSIC HEROES’ COME FROM SURREY? You Me At Six are obviously the most well known band from Surrey, they came from Weybridge I think which is just up the road from us. We hope to follow in their footsteps. 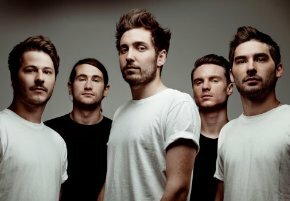 You Me At Six are a great example for young bands. They prove that you don’t have to be based in London to get anywhere and that you can still become a professional artist even from suburban Surrey.